← How to publish independently with Amazon…and have a Guinness afterwards. I hope you’ve all had a wonderful festive season, however you chose to celebrate! Christmas was a busy period for me while I was preparing for the release of my fifth DCI Ryan novel, High Force, which has already been a top five UK bestseller on pre-orders alone. Heartfelt thanks go out to all the readers who have bought the new book, or indeed any of the books – your support has meant so much to me over the past two years. It can be a daunting, solitary prospect starting a new book, so it is wonderful to hear from so many of you via Facebook, Twitter or e-mail! As we step into a new year, it’s natural to reflect on the year that has just passed. For me, 2016 was filled with contrast. Professionally, it was the second amazing year of a new career. Five bestselling books in a row and nearly three quarters of a million sales is far more than I could ever have dreamed of. I’m so grateful to every reader who has enjoyed Ryan’s adventures and for all the opportunities I’ve been given: I’ve spoken at Amazon and other literary events, been on the radio, television and inside magazines and newspapers (which, for a natural introvert, is bloody terrifying I can tell you) and developed new friendships with other writers, bloggers and general book enthusiasts. I now write for the Huffington Post, too. On the personal front, I am thankful to have a wonderful husband who has been my partner in life for twelve years and we have a healthy three-year-old bundle of fun to keep us busy. I have a beautiful sister and we laugh like idiots whenever we’re together, and loving parents who never fail to be an inspiration. We were devastated to lose my father-in-law recently, but I know we will cherish his memory. I was nearly twelve when my sister was born, so I have a vivid recollection of the day I first met her at the hospital. Comparing it with the lovely woman I see today (who has the temerity to be three inches taller than her elder sister) makes me painfully aware of the passage of time. Likewise, the frightening rate at which my son grows older and more independent is a constant reminder that life is fleeting and precious. Why put off something until tomorrow, when you could do it today? Don’t sit on a book for ten years – get on with it! I’ll tell you something that I’m sick of hearing, and that’s passive aggression. It’s a human trait to sometimes feel dissatisfied with your own lot in life, but nobody can change that but you. As a woman in her early-thirties, I no longer choose to surround myself with people who only wish to tear me down, or bring negativity to the table. Life is just too short. Sort your life out, nutters! By the time you reach a certain age, it’s rare to have arrived there without picking up some scars along the way. People are only human and you can’t go through life feeling angry at all the things they do, no matter how downright nasty or frustrating. It will only chew you up, inside. Happiness is the best revenge! Don’t let anybody tell you that you can’t do something. You can, and you will. It’s not for anybody else to dictate the limits of your potential, only you can do that. I say, aim high! I have a flash memory of being about five years old and not being invited to a birthday party (that all the other children were going to) because, as it later transpired, the small-minded parents of that 1980’s party thought that my mum was *shock horror* a single parent. Ridiculous, I know. That callous memory has never left me and, even now, I sometimes catch myself feeling like an outsider. It probably contributed to feeling like an imposter when my first book went to UK #1, and is the reason I feel a sickly sensation in my stomach whenever I go into a new social situation. But I’m getting better at shrugging that off and I want to be even better at keeping my chin up in 2017. Linked to some of the aforementioned is the strange ability I have to advocate for other people, but rarely for myself. In the new year, I don’t plan to sit and listen while people spout utter drivel. Tell ’em to jog on! I laugh a lot. With my husband, with friends, with family and definitely with my son. Towards the end of last year, I noticed my laughter drying up a little bit, and that’s something I’m going to rectify in 2017. It’s the best medicine! Be unafraid to challenge opposing views, because the only way to learn from each other is to talk. Reading is my passion – it is what led me to writing and without it I would be a vastly different person. Somewhere along the way, life has become very busy and I have less and less time to read the wonderful work produced by other people. I want to rectify this as soon as possible, partly for my own pleasure and partly because if I don’t take the occasional break from writing I will burn out! I used to paint in oils, I used to be able to speak a few languages to a good level, I used to be able to play the piano, I used to… There’s a lot of past tense in all of that, and I could go on. As life changes and becomes busier it is necessary to prioritise the things that are most important or pressing but the danger is that old pleasures are left by the wayside. Well, today I dusted off my old sketchpad and started to doodle. I booked some refresher French conversation lessons and I’m looking forward to finding my feet again when I visit Paris in February. It’s a start! These are just some of the many and varied things occupying my head space at the start of a new year. I hope that you are feeling as energised as I am, but if you’re not, just listen to the Beverly Hills Cop soundtrack. It has magical healing powers. Thought I’d give your recommendation a go – and listen to Beverley Hills Cop Soundtrack but I can only find it on a US site that won’t let me download it so stuck at the moment!! 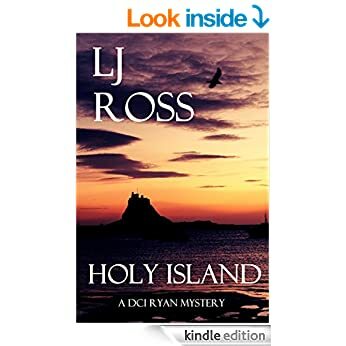 As a ‘refugee’ from Northumberland I read Holy Island as soon as it came out but with some trepidation – can the Author really capture the right atmosphere? I read Sycamore Gap in a cottage one mile from the tree when the snow was on the ground – only put the book down to walk out to the tree – stunning in the snow!! A lovely blog post, thank you, and your resolutions really spoke to me. I discovered your books at the end of last Summer, and devoured all four very quickly! I love them, and eagerly await number 5! I have lived and worked in the NE for twenty years, and it has been an added enjoyment to recognise so many of the places of which you write. Thank you so much for them, and wishing you all the very best for 2017. Thank you, Fiona! I’m so pleased you’re enjoying the books – I hope you enjoy ‘High Force’ just as much.